You have heard the song from my album O Raaj Re ઓ રાજરે with Damyanti Bardi’s beautiful voice. Here is the same song with same background music in instrumental form. 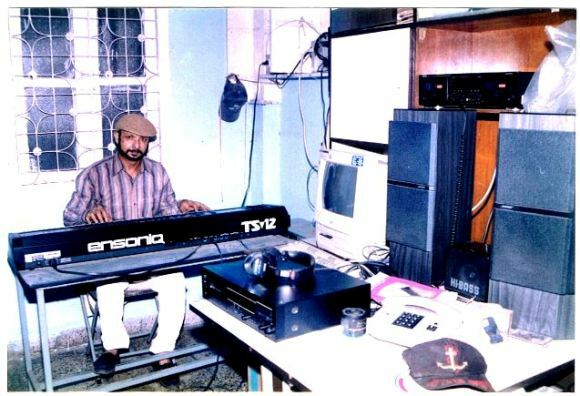 This is the place where I composed ‘O Raaj Re’, and ‘AasopalavNi Dale Albums’ including writing many of the lyrics . This entry was posted in AasopalavNi Dale, Bollywood Oasis, Club Oasis, Damyanti Bardai, Dance Music, Dandiaraas, Dandiya Raas, Dandiyaraas, Garba, Ghanshyam Thakkar, Gujarati Blog, Gujarati Kavita, Gujarati Music, Gujarati Net, Happy Navratri, Hindi Blog, Hindi Net, Instrumental Music, Instrumental Remix, MP3, Music, Navratri, O Raaj Re, Oasis Thacker, Oasis-Music, Raas, Sangeet, आसोपालव नी डाळे, इन्स्ट्रुमेंटल वाद्य रिमिक्स, इंस्ट्रुमेंटल, इंस्ट्रुमेंटल म्यूजिक, ईन्स्ट्रुमेंटल रिमिक्स, ओ राज रे, गरबा, गीत और संगीतः घनश्याम ठक्कर (ओएसीस), घनश्याम ठक्कर, घनश्याम ठक्कर (ओएसीस), डांडिया रास, डांडियारास, नवरत्रि, प्रेम, प्रेम-गीत, वाद्य रिमिक्स, वाद्य संगीत, वाद्य संगीत रिमिक्सः, संगीत, हिन्दी नेट, हिन्दी ब्लोग, हेप्पी नवरात्रि, ઓ રાજ રે, ગુજરાતી નેટ, ગુજરાતી બ્લોગ, ગુજરાતી સંગીત, ઘનશ્યામ ઠક્કર, નવરાત્રી, મેંદી રંગ લાગ્યો, વાદ્યસંગીત, સંગીત, હેપ્પી નવરાત્રી and tagged Dandiya Raas, Dandiya Ras, Ghanshyam Thakkar, Instrumental Music, Instrumental Remix, MP-3, Music, Oasis Thacker, घनश्याम ठक्कर, डांडियारास, वाद्य संगीत, हेप्पी नव्ररात्री, ઘનશ્યામ ઠક્કર, ડાંડિયારાસ, સંગીત. Bookmark the permalink.